First a gasp, then a chuckle, then full-out laughter. That was the response from the crowd Friday, and the tennis world, when Wimbledon announced a first-round match next week: John Isner vs. Nicolas Mahut. 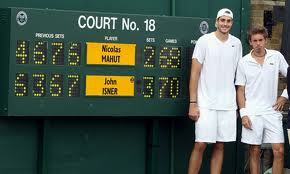 Yes, one year after their epic three-day match, which Isner won, 70-68, in the fifth set, they are going to play again. Whatever the mathematical odds of this happening, with names drawn at random, it was just luck of the draw. Not funny, Mahut told Isner the other day, when they talked about whether it might happen again. It is seen as a quirky moment in sports history, but the truth is, this match that would never end, still hasn’t. 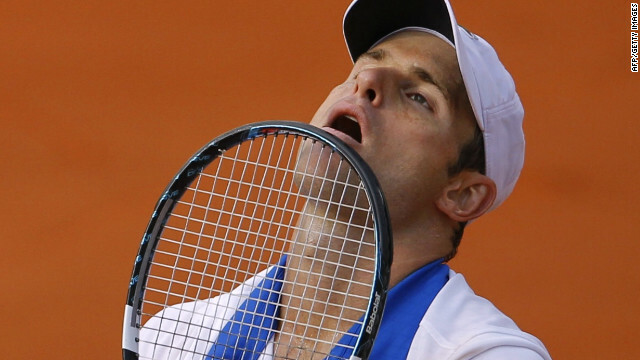 Isner has not been the same. Mahut suffered depression for months, and physical problems doctors couldn’t diagnose. A few weeks ago, Mahut asked Wimbledon officials that no matter who he played, would they please not put him on Court 18 again. For both of them, the place is haunted.